The pool was designed in conjunction with the owner to enable access directly from the house whilst incorporating the out of ground portion where the yard dropped off at the back. 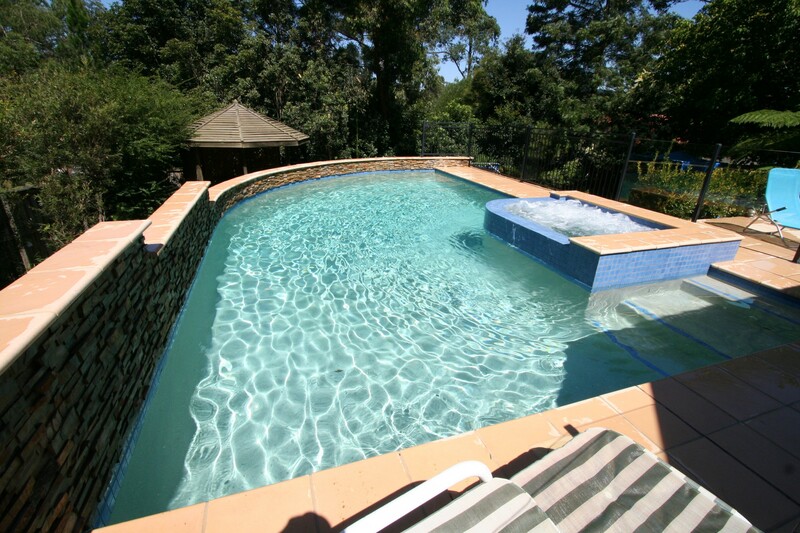 The end result was another award-winning pool with a finish to meet the clients wishes. The integral curved retaining wall was finished in stackstone and capped.